Gageego!, based in Gothenburg, was founded in 1995. The reason was the need for a number of musicians to play chamber music on the absolute highest level, both artistically and technically. As a group Gageego! can vary from a small group of just 3-4 players up to the size of a sinfonietta. 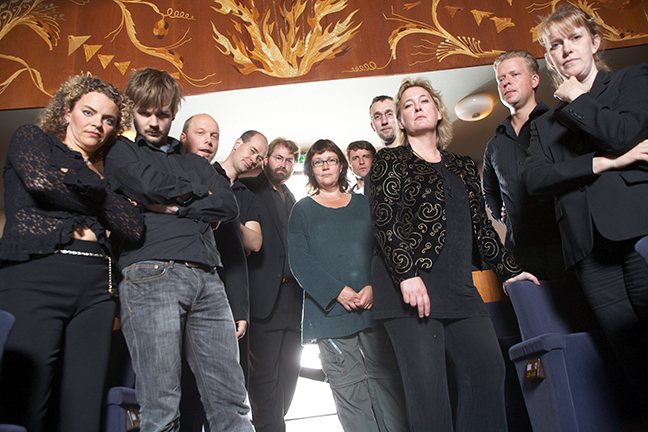 They often collaborate with conductors such as Peter Eötvös, Karl Heinz Gruber, Xavier Roth, Andre Valade and others. Gageego! likes to get close to the audience and work in new and unexpected contexts.